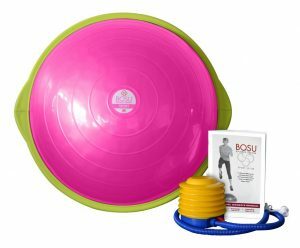 The BOSU Sport Balance Trainer allows the user to combine all the elements of fitness–cardiovascular, toning, and flexibility–in unique and highly effective combinations. 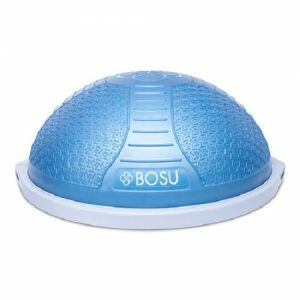 Both challenging and fun, BOSU® gives a whole new meaning to “moving with control” as the user learns to workout on the ever-changing surface. 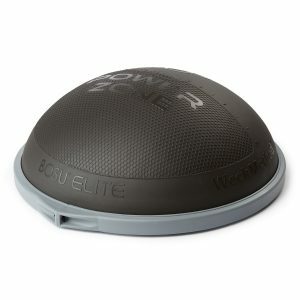 The BOSU® Sport Balance Trainer makes a great portable balance training tool for core conditioning and rehabilitation. 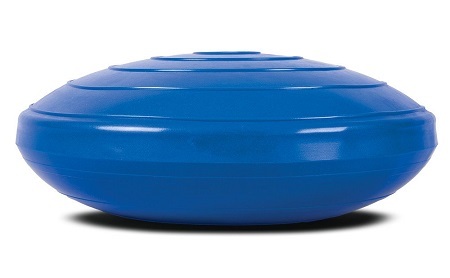 The sleek, compact design of the BOSU® Sport Balance Trainer allows for easy transportation and storage. Smaller than the BOSU Pro Balance Trainer. Versatile! The BOSU Sport Balance Trainer improves balance, core stability and proprioception. With “bubble” side up, sit, stand, lie, kneel or jump. With platform side up, do push-ups or even stand on it for an advanced balance workout. Any exercise done on the ground can be performed on the BOSU Sport Balance Trainer – making it more challenging and fun. 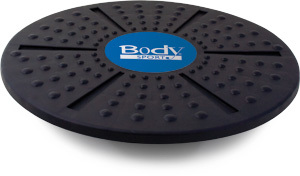 Makes a great portable balance training tool for core conditioning and rehabilitation. Four products in one! Stability Ball, Balance Disc, Wobble Board and Plyo Box. Hold up to 300 lbs. user weight. Size: 3” x 22” x 22” 12 lbs.